One of the most important qualities to look for in roofing contractors is experience. 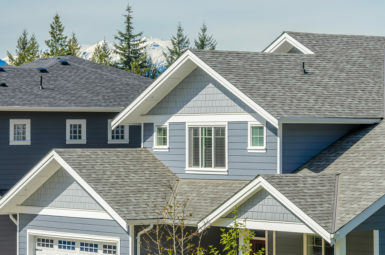 If you choose the experts at Daech & Bauer Roofing to repair or replace the roof on your home in the O’Fallon, Illinois area, you will get just that. We’ve completed more than 10,000 successful projects in the area since our company was founded, and our dedication to providing the highest levels of craftsmanship and service helped us earn recognition as one of the Top 100 Roofing Contractors in the United States by Roofing Contractor magazine. At Daech & Bauer, we understand that our customers only want the best. That’s why we use products from top manufacturers like Owens Corning™, and we are proud to be one of the few roofing contractors that has been designated as an Owens Corning™ Preferred Contractor. What’s more, when we replace the roof on your O’Fallon, IL home, we will do much more than install new shingles. We use a total roofing system that is designed to offer maximum performance. What’s more, the roofs we install offer a waterproof barrier to prevent rot and mold growth and have the durability needed to resist blow-offs during severe weather. We also make sure that the attic has sufficient ventilation, which can slow roof deterioration and help make it easier to maintain a comfortable temperature in the home. Contact Daech & Bauer Roofing today, and let us demonstrate why we are a trusted leader among the roofing contractors serving the O’Fallon, IL area.